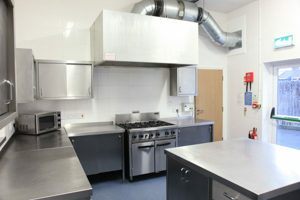 We have a fully equipped kitchen available to use as part of your hire. Ideal for parties. Our aim is to provide a hub within the local area for people of all ages to enjoy activities, or parties, and bring together a sense of community. Our rooms are available to hire for regular bookings, one-off classes, parties or most things that you can think of! We also have a number of regular groups ranging from pilates to whist to traditional indian dancing! So if you're looking to hire a room for a group or party, or would like to enquire about joining in on some of the existing ones then please get in contact. Whether you're looking to hire a room, join one of our various groups or just want to know what's going on in your local community please either give us a ring, send us a message by clicking on the right or pop in if you're in the area.